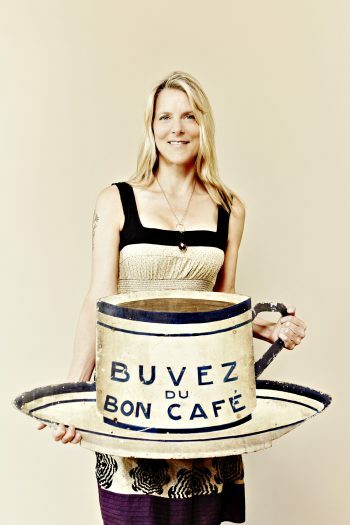 In the Canadian coffee business, Diana Olsen of Balzac’s Coffee Roasters is an outlier. She came to the trade in the early 90s – 15 years ahead of the current coffee zeitgeist – and spent that time cultivating a small and loyal following. When the tide turned toward craft roasters and cafés, she had an advantage, growing her business in ways beyond the reach of most small Canadian roasters. 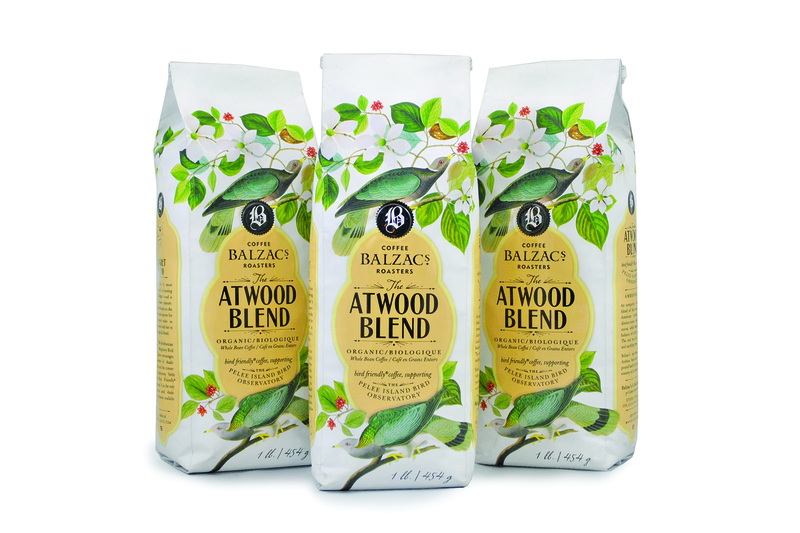 Today, Balzac’s occupies a distinct and profitable niche in the highly competitive market of coffee and cafés. Olsen, who majored in French Literature at UBC, steers clear of a pretentious coffee shop aesthetic, preferring to follow the lead of her literary hero, Honoré de Balzac, who called cafés the “people’s parliament.” Olsen knows that cafés are rooted in community and culture, places where people of all stripes gather to debate and create, alone or in the company of others. Her love for French culture and cafés began at the impressionable age of 18, when she spent a year in Paris as an au pair. “Certain Paris situations were intimidating,” she says, “but, when I went into cafés, there was a cross-section of people, and I felt accepted.” The grand cafés, in particular, captured her imagination, and their influence can be seen in Balzac’s signature interiors – the zinc bars, encaustic floor tiles, classic Thonet rattan bistro chairs, and vintage coffee paraphernalia Olsen collects from brocante markets in France. When she returned to her hometown of Vancouver, a newly born Francophile, enrolling in the French Literature program at UBC seemed an obvious choice. Academics came easily, and she also earned a place on the varsity rowing team. (She recalls a trip to a regatta in St. Catharines, Ontario: “We rowed right by the building where I now have a café.”) It was at UBC that she first read La Peau de chagrin by Balzac. “I found him fascinating,” says Olsen. She admired his views on French society and later discovered that the 19th-century novelist wrote under the influence of copious amounts of coffee. Another significant figure was Olsen’s late father, Arne Olsen Sr., who founded Impark, a major parking management company. His entrepreneurial spirit rubbed off on her, and she began to think of coffee in business terms a couple of years after graduating. “Starbucks was all there was, and that had such a North American vibe to it,” she says. “I loved what they were doing, but I didn’t like the ambience.” French culture and coffee began to merge in her imagination. She went to San Francisco to study roasting, and in 1993 the seed for Balzac’s germinated into a small kiosk at Toronto’s Royal Agricultural Winter Fair. Three years later, in Stratford, Ontario, she opened her first café. 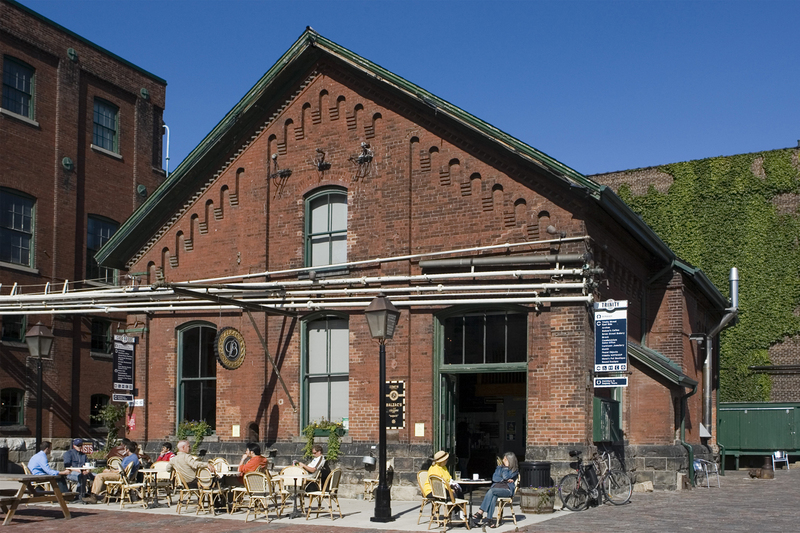 Her second café was a former pump house in Toronto’s Distillery District. The first time she saw the building, it had dirt floors and crumbling walls. Building a café in an abandoned urban area was risky, but Olsen has steely nerves and a keen sense of potential. “The pivotal moment in Balzac’s trajectory was getting that space,” she says. The derelict building was soon transformed into a modern Belle Époque café. Its grandeur and success buoyed her business reputation, and a pattern of growth began to emerge. Developers working to revitalise areas of historical or cultural significance would approach her with tantalizing suggestions for new premises. But Olsen’s approach to growth is measured. “I’ve had to turn away amazing opportunities, because we can’t open more than one café at a time,” she says. “I’ve only got so many people.” Balzac’s now has 15 locations in Ontario. Her current project, at the Powerhouse in Toronto’s Junction Triangle, is set to open later this year, and plans for a café in Ottawa are underway. In 2011, Olsen’s business savvy and confidence won her the backing of Arlene Dickinson and Bruce Croxon when she pitched Balzac’s on CBC’s Dragons’ Den. She needed financing for two competitive bids she’d won in very high profile locations in downtown Toronto. “They’re happy with the growth, and they know that I’m very independent,” says Olsen of the strategic partnership. “Arlene just bought more shares.” They’ve helped her business to grow to more than $10 million in annual sales. Will Thorburn, Balzac’s director of coffee, manages roasting and production at the new head office in Ancaster, Ontario. He has several points of pride: an eco-friendly Loring roaster, which has helped earn Balzac’s a Leaders in Environmentally Accountable Foodservice award; the company’s certification as a Fair Trade and Organic roaster; and the tasting room where several times a week he skillfully presides over coffee tastings (or “cupping sessions,” as they’re called in the industry). Thorburn says he came into the business, “at the right moment.” In 2016, Balzac’s struck a deal with Canadian grocery giant Loblaw’s to sell coffee in close to 200 stores. Retail and café growth have meant that Thorburn is preparing to expand production into 6,000 square feet of adjoining space. Olsen learned to roast the old-school Italian way, blending beans before roasting, “because espresso is done like that.” But there was room for innovation, and the beans in her popular coffee blends – Balzac’s, Farmers’, and Winter – are separately roasted to best express their character, and then blended in a process she’s trademarked Marble Roast™. Seasonally sourced coffees, such as the Kenyan Ibonia Estate, are “a lighter roast, because we’re trying to expose people to more diverse flavours,” says Olsen. Rather than overt marketing, Olsen prefers to develop Balzac’s brand and reputation by partnering with organisations that share her values. She’s quick to contribute to local and national initiatives – shelters for young parents with children, refugee support, arts-oriented education, and environmental causes. 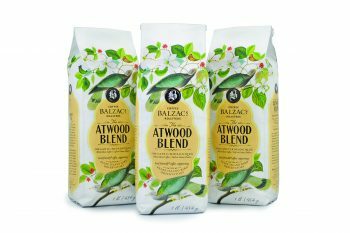 Olsen collaborated with another great literary figure, Margaret Atwood, to create the Atwood Blend, a bird-friendly coffee that’s 100 per cent organic and Smithsonian-certified. One dollar from the sale of each bag goes to Pelee Island Bird Observatory, a $23,000 donation to date. She’s not concerned about the explosive growth of competitors. “Other companies nipping at my heels is inspiring,” says Olsen, who is now eyeing Quebec as a potential market. But, she says, “Part of me wants to have a reason to go back to BC. My friends and family there are so proud of me and want me to open in Vancouver.” Considering her success to date, growing cafés west of the Rockies is not a far-fetched dream. “Coffee is a great power in my life,” declared Balzac, who was a brilliant and prolific writer. It’s had a similar effect on Diana Olsen, driving her metamorphosis from a young woman taking comfort in Parisian cafés into a proven business leader. A ground-breaking discovery or brilliant idea is one thing. Getting it to market is another. Louise Schwarz started her recycling business back in the 1980s, when blue boxes were still a rarity and landfills festered unchecked. How an MBA grad was equipped to potentially change the lives of millions.